For about a year, my iPhone has been automatically geo-tagging my camera phone snapshots, and I’ve hardly been thinking about the fact that it’s happening. Tonight this tweet from @darrellwhitelaw inspired me to open up iPhoto and take a look at the map that represents my cellphone photos from the last year. I played with the photo mapping of iPhoto 09 a bit when it first came out, but I hadn’t looked at it since. 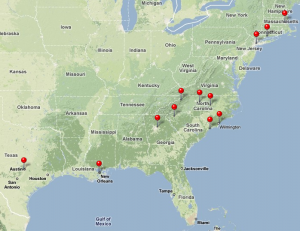 I have to say, it’s pretty rewarding to see a ton of pins spread out around the country. 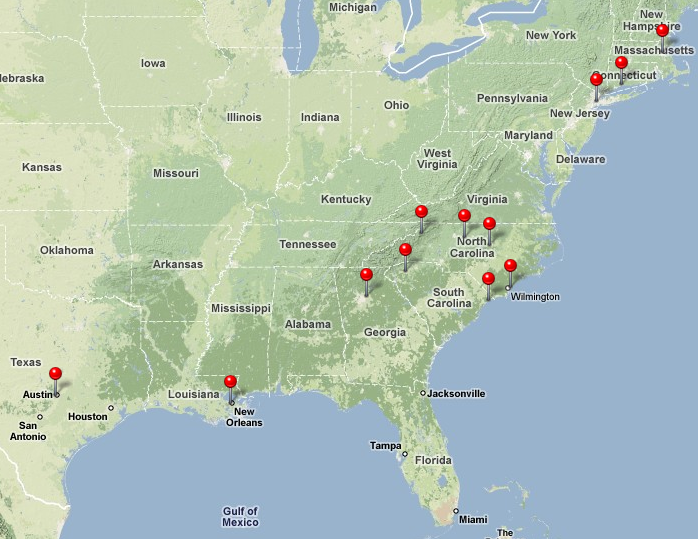 I certainly haven’t traveled much, but this map presents three locations I’ve lived in the last year. It’s so easy to drill into an area and view all of the photos associated with it. I’ve been wondering why all consumer cameras don’t have a GPS chip integrated. The chip could serve to geo-tag photos with coordinates that could be deciphered by desktop software and image hosting sites like Flickr, something that could be done after the fact and doesn’t require an active data connection on the camera itself. Secondly, having GPS on a camera would provide a perfectly accurate time and date stamp for every picture taken, even taking time-zone changes into account. Camera manufacturers: please feel free to steal this idea right away and do it. I know it’s not a new idea, but I don’t understand why it’s not being done. Modern GPS chipsets are extremely low power, fast to acquire positioning from a cold start as long as you haven’t moved too far from the last acquisition, and are small enough to fit in modern cellphones so a point and shoot camera would be trivial. The Nikon P6000 advanced point and shoot did this a year ago, so I really hope it’s a feature that saturates the market soon. Viewing all of my iPhone photos tagged on a map, with no effort required on my part, was so rewarding. I just hope I can have the same experience with all of my photos in the near future. This is a beautiful example of the Canon 5D MarkII‘s video capabilities. Nine Inch Nails is posting several HD videos of their live performances up on Vimeo on their official account. Below is footage of Burn performed in Melborne. The effect you see from the strobes has to do with the 5D’s rolling shutter, but apparently plagues many other video cameras, and isn’t necessarily a major point against the 5D. The effect actually grew on me as I watched the video… it reminded me of having old film come out of sync with the shutter, and it matches the industrial grunge asthetic of NIN. 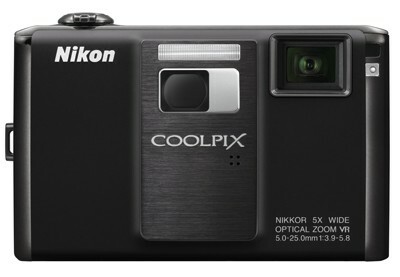 I’ve got a pretty solid idea of what I want my next camera to be.